What Can a Hospice Patient Eat and Drink? Eating is a daily pleasure, and food is an essential part of our lives. It sustains and comforts us; we share it and celebrate with it. We serve food to communicate caring and love. Food is a major part of life – for daily sustenance and as way to mark milestones and enjoy fellowship. At Thanksgiving you eat turkey with all the fixings. At your birthday celebration there’s cake. At your colleague’s retirement party there are appetizers. You get together with your friends at a local restaurant for dinner and drinks. You celebrate your 40th wedding anniversary on a cruise with an all-you-can-eat buffet. Each milestone is completed by the additional of food and drink. But what happens when your loved one reaches another milestone – nearing the end of life? And he or she is seriously ill and is having difficulty eating and drinking? How can you help them – both physically and emotionally? How do you handle end-of-life nutrition when you’re conditioned to always have food around? Is Your Loved One Eligible for Hospice Care? When you become ill – whether it’s with the flu or an injured ankle– your appetite decreases. When you become seriously ill and nearing the end of life, your body’s need for food and end-of-life nutrition is also altered. This is due to decreased activity and metabolic changes. Near the end of life, your loved one often has symptoms that will reduce their appetite, such as nausea and pain. Plus, their disease can affect their taste buds, making food taste bland, salty or sour. Some medications may also alter flavors and appetite. In these situations, families often struggle to get their loved one to eat. 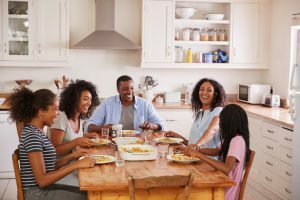 But that can lead to friction, which can cause more stress and interfere with open communication within the family. If you live in South Jersey and have questions about hospice care, please call us at (800) 229-8183. Anything that he or she wishes. 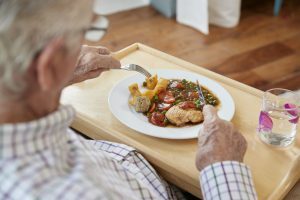 Hospice experts advise families to avoid such a “food struggle” by allowing their loved one to eat what they want when they want. Your loved one can even benefit from withholding nutrition at the end of life or not eating when they don’t want to. For instance, eating can actually lead to added discomfort from a weakened digestive system. Indeed, when faced with a terminal illness, people begin adjusting their priorities — and may prefer to spend energy on activities and relationships rather than on food. Moreover, people nearing the end of life may no longer be able to benefit from the sustaining properties of food. So let your loved one make these choices; their body knows what it needs. Your loved one’s wishes, dignity, and comfort should be the guide. At the same time, you can help your loved one want to eat, and enhance access to the comforts of food and drink. If the doctor recommends a specific diet, follow it as much as possible. And feel free to discuss these issues with the hospice team. If you live in South Jersey and have questions hospice care, please call us at (800) 229-8183. Offer small, frequent meals throughout the day, rather than keeping a three-meal-a-day routine. Serve small portions, so your loved one doesn’t feel overwhelmed or have a sense of failure because they can’t clean their plate. Serve meals when your loved one is pain-free and has the most energy, such as morning, mid-afternoon, and after pain medication. Make high-calorie snacks/supplements available at all times. Be sure to follow the manufacturer’s instructions for storage and handling of supplements. Limit use of low-calorie foods and drinks, such as broths, coffee and tea. Offer frequent sips of favorite liquids. A travel mug with a lid or a closed container with a straw allows a weak person to drink independently without worry or spills. Instant breakfast mixes can serve as a meal. When your loved one no longer wants to eat or drink, offer ice chips — flavored and unflavored – to relieve feelings of dryness and discomfort. Remember, as your loved one’s condition progresses, their appetite will decrease substantially. Serve higher-calorie, nutrient-dense foods, such as full-fat dairy products, avocado, and peanut butter/nut butters. Add melted butter, olive oil, or margarine to foods. Add grated cheese to sauces, casseroles, and vegetables. Puree family meals in a blender. Soak foods in gravy, broth, or milk. Serve baby foods. Try making them more appetizing with spices and seasonings. Avoid dry, crisp, and hard foods. Avoid spicy and acidic foods. Acidic foods include tomatoes, tomato sauces, citrus fruits, and foods made with vinegar. 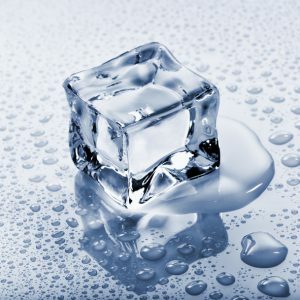 Avoid temperature extremes in foods – nothing very hot or very cold. Encourage your loved one to eat more when feeling better. Reschedule meals if nausea occurs frequently at the same time of day. Offer small, frequent, light meals/snacks, bland foods, gelatin and puddings. 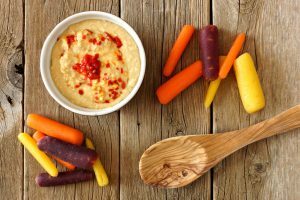 Cold foods are often more appealing than hot. Encourage the patient to chew food thoroughly and eat slowly. Serve fluids between, instead of with, meals. Liquid meals are often best when the person is nauseated or in pain. For example, offer soups, smoothies, shakes, yogurt, ice cream, and cool drinks. Try sports drinks, popsicles, cola syrup, and peppermints. Freeze juice in ice-cube trays. Give the patient anti-nausea medications as directed. Have the patient avoid lying flat after eating. Notify the nurse if diarrhea is continuous for more than 6 – 8 hours. Increase fluid intake, but avoid fruit juice or milk. Sports drinks may be used. 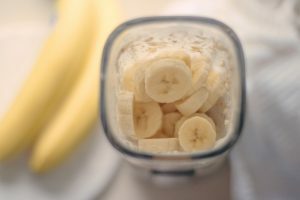 Serve small, frequent amounts of rice, rice cereal, banana, and applesauce. Toast can be added to the diet as tolerated. Limit greasy, fatty, and fried foods. Avoid foods and drinks containing caffeine. Avoid large amounts of sweets and sorbitol-sweetened products. If cramping is a problem, avoid “gas-producing” foods such as carbonated beverages, beans, cabbage, cauliflower, and broccoli. Apply petroleum jelly to sore area of your loved one’s bottom, as ordered. People who are terminally ill generally don’t feel hungry and eat little. They may feel thirsty, which can be addressed with small amounts of liquids, ice chips, hard candies, or frequent swabbing of the mouth. Food and fluids can cause bloating, nausea, vomiting, and diarrhea. Fluids increase the amount of urine, which may require insertion of a urinary catheter or painful movement to a bedpan. If the person is incontinent, they may experience discomfort from being cleaned and having their bedding changed. Each person’s situation is different, and the hospice team can help you make the best decisions for your loved one’s comfort and dignity. Remember, never force end-of-life nutrition or insist that your loved one eat. This can develop into a struggle where the family feels rejected and your loved one feels ungrateful or guilty. Your loved one may even give in, to some degree, but may feel worse both physically and emotionally, and the family relationship could suffer. Caregivers should not worry about withholding nutrition at the end of life. However, you can make it easier and more inviting for your loved one to eat and drink – and give them some added comfort — by following the tips provided above.